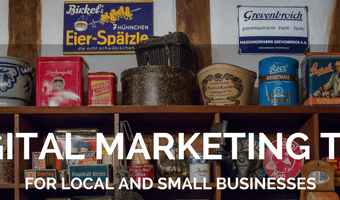 Local And Social Require Heart – Does Google Qualify? There's a grandma in Topeka who fires up Facebook every day to see new photos and stories about her grandkids in Wichita. There's a national group of mothers of Autistic children using Twitter as their platform to point out gluten-free recipes that are aiding their sons' and daughters' health. There's an organic farmer in Berkeley, California whose website is letting all his local customer know what's in season right now at his farm stand and a Native American Health Clinic in New Mexico that has just claimed their Place Page to increase the visibility of their vital local medical services. What do all of these human efforts have in common? People and heart. But, does Google, the tin man of the Internet, with its algo-centric, data-centric mindset really fit into the Local/Social picture? You tell me. If I Only Had A Heart... I just read Liana Li Evans' excellent piece, Watching Google Attempt Social is Painful: A Look at +1 and Other Failures, prompted by the supposed … [Read more...] about Local And Social Require Heart – Does Google Qualify?